One of the things I get asked about quite a bit is what gear to buy and while I think that is a complex question because there are multiple variables to it. That being said the best camera is always the one that you have with you so I lean towards finding something that you will get out and shoot with. I know multiple people that spend a fair amount of money buying DSLR and lenses and when it comes down to it they have more images with their phone because they didn't want to carry all the extra weight. This week I went out to do some comparisons and took out a Panasonic Lumix LX100 which was released almost 4 years ago and a great little camera that we picked up for just over $400 dollars. The second kit was my everyday camera which is the Sony A7R3 and Sony 16-35 f/4 lens which for the kit is just over $4000 dollars. This is not a comparison in the fact that I think the Lumix can produce the same quality as my Sony's but showing that in some harsh conditions the LX100 can produce a quality image by understanding it's limitations and strengths. I need to do a second setup where it's in better light conditions to show you how with great light the image quality becomes even closer. For this test though I wanted to show my normal style of shooting with early morning higher contrast light and a little bit longer exposure on a tripod. Both cameras were setup on a tripod with similar framing and using the wider angle of 24mm as the focal length. The lumix has the lowest ISO of 200 so both cameras were set to ISO 200 with a 5 or 10 sec exposure (had to adjust a little based on Sensor for exposure) at F/10 so it was the same on both. Everything was shot in Manual and captured in RAW so the same adjustments could be added in lightroom after the fact. I then used my phones light to give a little light on the leaves in the foreground during the long exposure so it added a different element to show how each camera handles multiple variables in a complex shot. Both images were pulled into Adobe Lightroom and similar adjustments made on each (Slight shadows/highlight adjustments, little clarity, color adjustment), the Sony could handle a little heavier hand on pulling back the shadows and highlights but tried to get the final images on both with very close editing. Sony A7R3 - Handled a bit better on the editing so nice and sharp with a little more shadow detail. Panasonic LX100 - Image was a little softer after the edit due to the shadows becoming a little muddy when attempting to bring them up. This is a pretty harsh test of a camera as you need to have some flexibility in the RAW file to pull up the shadows and manipulate the highlights to bring in some details and the LX100 raw files couldn't stand up to some of the swings on the adjustments and turned out a little soft but I think acceptable. Keep in mind that the sensor on both of these cameras is dramatically different but that is why I wanted to show you that you can still capture the image no matter the camera but there will be some limitations that you have to learn to work around. Just as I said in the first of this post that the camera choice matters on what you want to capture and it's more complex then just I want a great camera. What do you want to shoot? What is your budget? these 2 questions really start you off on the right path as you now need to look for the best camera in your budget that is best suited for the shots you want to take and that takes research and test out some cameras. I use Lensrentals.com all the time for renting lenses or bodies to test out ergonomics and how well they fit the images I want to capture. Any camera can capture a good image as long as you know the limitations and can work within them. I will start off by clarifying not everything can be fixed in Photoshop so pay attention when taking your image and also not every photograph is 15 hours worth of editing to make look amazing. One of the common questions I get is how long do I spend editing some of my images in lightroom/photoshop/whatever editing software you use. For me I am typically a 5-15 minute editing person and if it goes beyond that while I may like the image it gets flagged for me to get to at a later time which doesn't always happen. I am by far not a purest and do believe post processing is part of the creative process and helps to enhance images but I am not one that can spend hours on a single image. So figured I would show a few examples and time I spent editing so people had an idea of my workflow and how much I do push some of these images. My workflow after a session is to download my card using Photo Mechanic which makes copies of all the images in 2 locations, my editing drive and my raid backup drive which sync every night based on editing drive being the primary. I then import into lightroom and start culling through the images flagging the ones I like with 1 star, 2 star for potentials that may need more editing, 3 star for throw away and then once edited 5 star for completed. From there I look at the 1 star images and do quick edits for exposure, alignment and color grading. Then the final touches are usually some curves adjustment and if need to do some spot removals then save and on to the next image. On occasion if the spot removal or object removal is a little more I will pop into Photoshop and do some removals or if I want to really add some contrast pop I do use the Nik Collection of plugins for Color Efex but that is not every image. 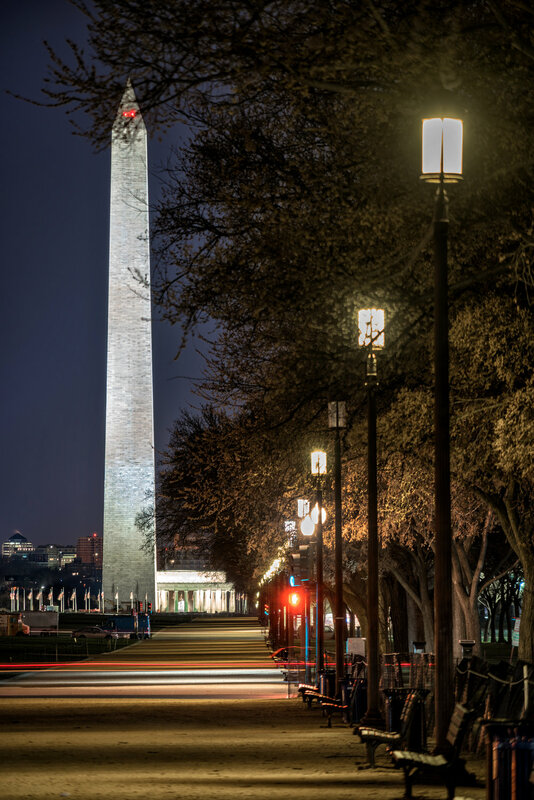 This is the before image taken at Constitution gardens. ---- 6:29am --- Sony A7R3 -- Sony 16-35/24mm, 1/13, f/20, ISO 400, Handheld. This is the edit afterwords - Roughly 15 minutes of editing as I did pull this one into Photoshop to do some cleanup and used the color efex NIK plugin to add more contrast. One of my recent ones that got some great feedback. ---- 4:44am --- Sony A7R3 -- Sony 16-35/34mm - 6sec exposure, f/8, ISO 100, tripod. This one was pretty quick and was between 5-7 minutes to edit as it was just some of the quick adjustments so wasn't to intense. This is another one that was 5-7 minutes as you can see it was just some quick adjustments and adding some pop to the image overall. As you can see the majority of the time I am not spending a ton of time editing my images after a shoot as I did spend some extra time trying to get as much of it as I can right in camera and the rest are edits I already have in my head for an image. Photowalks, books and photographers oh my! Over the past couple of weeks I have continued my personal goal that I gave myself back in March which was to continue to step outside of my comfort zone. 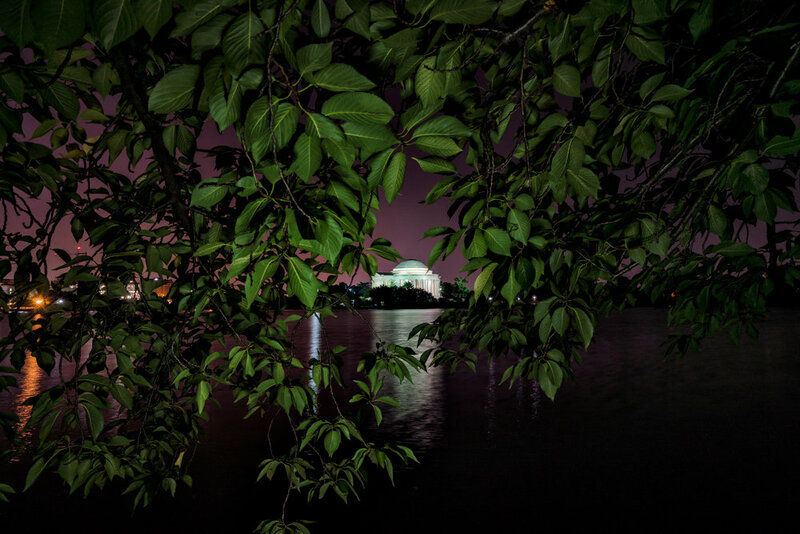 My good friend Angela Pan announced that she would be releasing a book, Snap DC is for anyone who wants to take great photos of DC but doesn't have the time to research where to shoot, when's the best time to go, or how to take them. 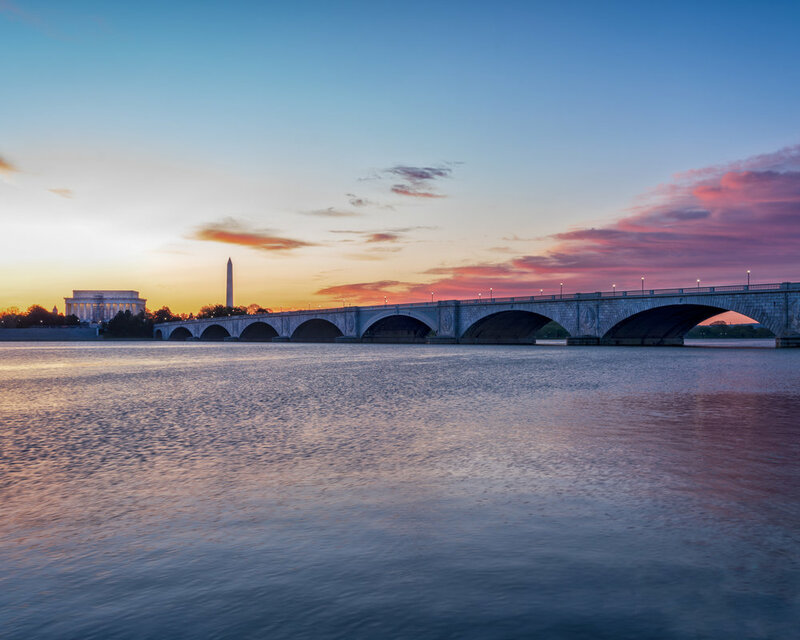 As part of her launch she partnered with the good folks that run #IGDC to have a photo-walk starting at the Jefferson Memorial. The water was high and a little rain but the turn out was great and just so happened to be prom so tons of really dressed up kiddos before they went to prom all around. Congrats on the launch Angela! Slide forward a few more weeks and I think you see a theme here but I joined another Photo-walk with Angela that she again was leading with the Focus on the Story International photo festival but this time starting at the Lincoln Memorial. Another great turn out and some more fun was had. The thing that I have really enjoyed about this is of course seeing success for an amazing person but just how much the photo community around DC rallies around one another and is extremely supportive. I have got to meet some great people on these walks and even help in a few ways with some folks that have technical questions around the Sony Alpha cameras as I have dove pretty deep into the entire line. I am looking forward to more outings in the upcoming months and adding a few little challenges for myself as well, mainly because it helps push me to actually accomplish something. 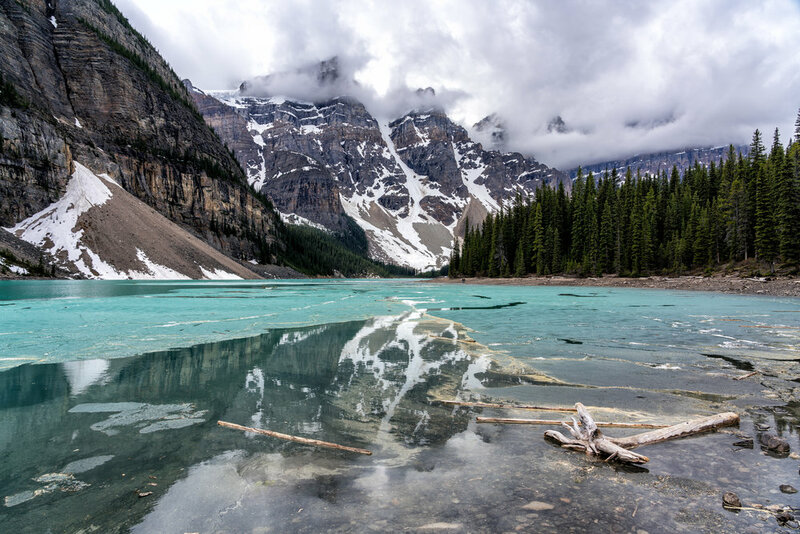 Visit 1 new photo location per month - Still need to accomplish this for June, better up my game! Start the work on my 30sec Monument time-lapse idea - 30 second time-lapse for each of the monuments, the goal will be at different times of day so I can show the variety but it will be a work in progress. Post one blog a week starting from July 1st. Now the more important stuff, the photos! 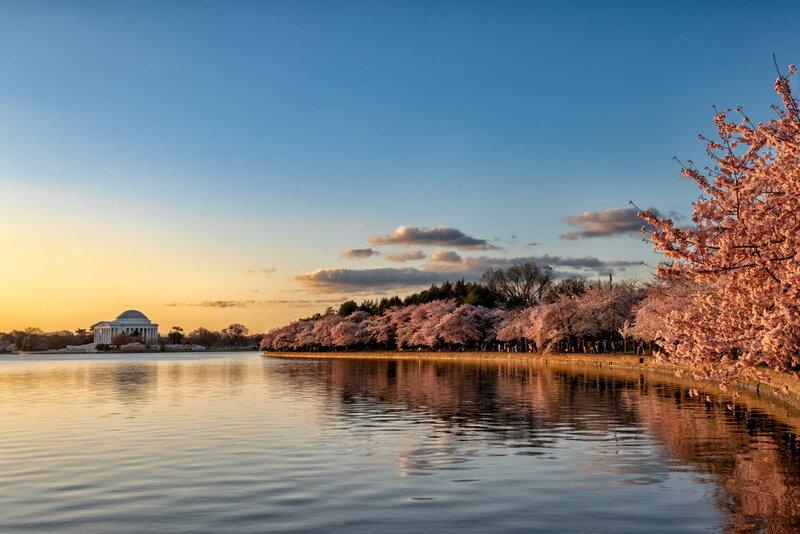 One of the best trees around the tidal basin, reflection isn't to shabby either. A little bonus image that I took this week that I had planned but never had a chance to shoot it as typically I never find the Lincoln empty enough to get it. This week I got the shot and I really like how it came out. One of the hardest parts of Photography is finding that perfect bag (Spoiler alert, there is no such thing). 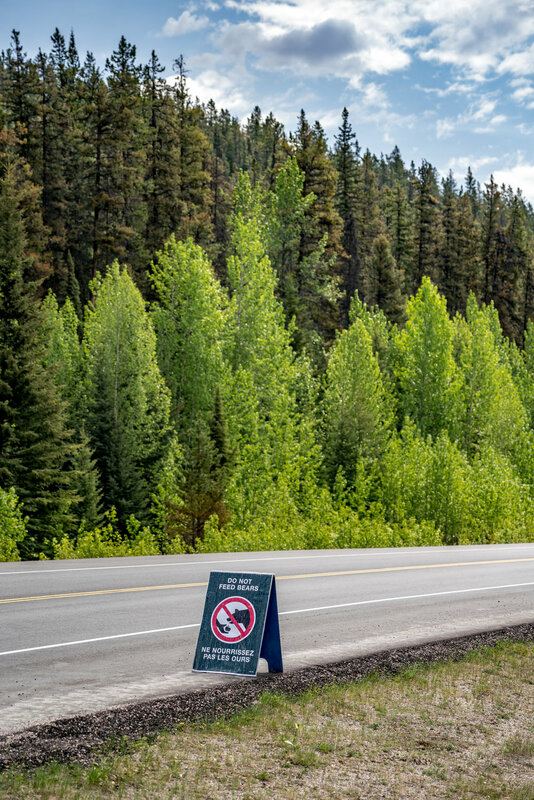 The other part is that as photographers we tend to over pack what gear we think we will need because the what if scenario is always running through our head. Over the years of shooting I have had numerous Think Tank, Lowepro, Peak Design, Mindshift gear, fstop and the list goes on and on but the one thing I realized having all of the bags is that there are different bags for different situations and there will never be just one bag. This is where the research started as I have a week long trip coming up and from previous trips it is always splitting between two bags and figuring out what to put where or do I need this or that. I knew what I was looking for so I started looking for a bag that would not be a replacement but a part of the arsenal for my camera bags. 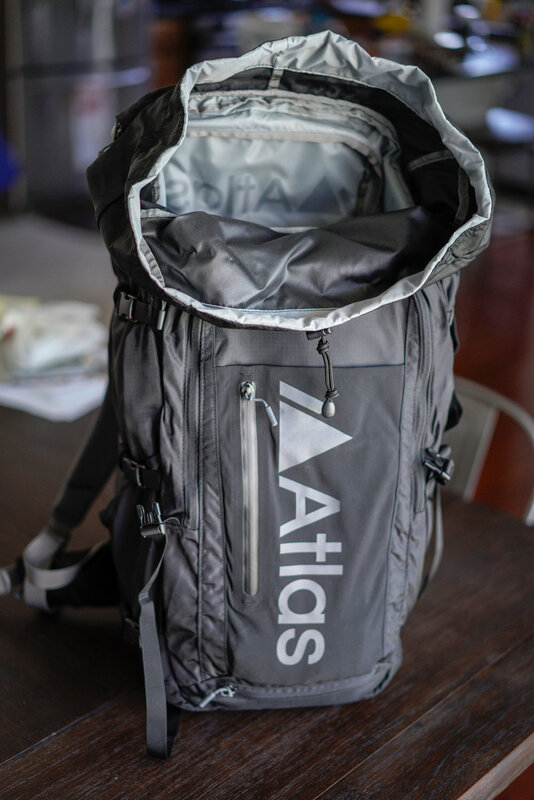 After researching a few I reached out via Instagram DM to a company here in the states called Atlas Packs (https://atlaspacks.com/) as I had a few questions for international travel and their larger backpack the Atlas Adventure backpack. Much to my surprise they were very quick to respond and answered all of my question and were extremely customer service focused. I proceeded to buy the bag so I can test it out with some day adventures before our trip. There are quite a few things that I really like about the bag. 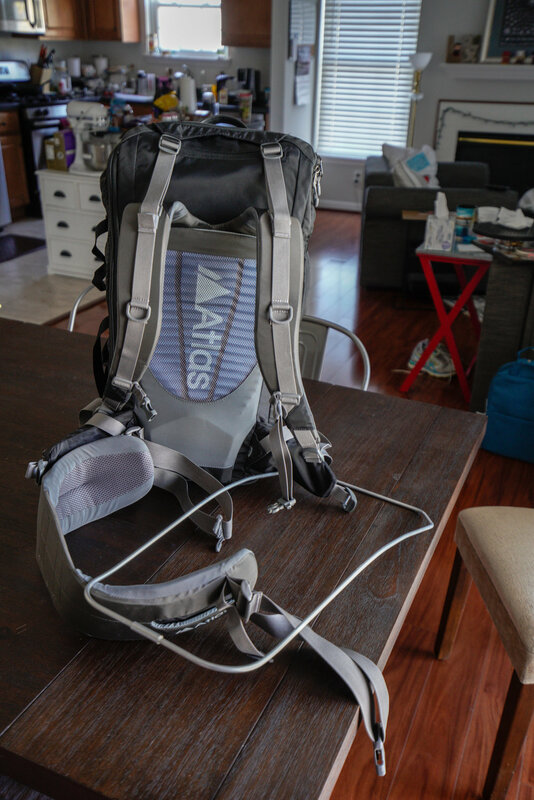 Very versatile (Can remove aluminum frame (for rigidity when hiking), Can remove waste belt, Can adjust where the straps sit on the back of the pack or completely remove them if you wanted to. Spacious - I will post a picture down below with all of the gear I test packed for the trip and it handles all of it and more. Build quality is great, everything feels very well thought out and able withstand some wear and tear. Lots of little pockets for fitting various items in, ipad/laptop space, space up top for clothes or other items that are not part of the camera kit. Comfortable carry - Shoulder straps carry the weight well even on a little chunky frame like mine and can adjust pretty easily. Enough rambling, here are the pics. 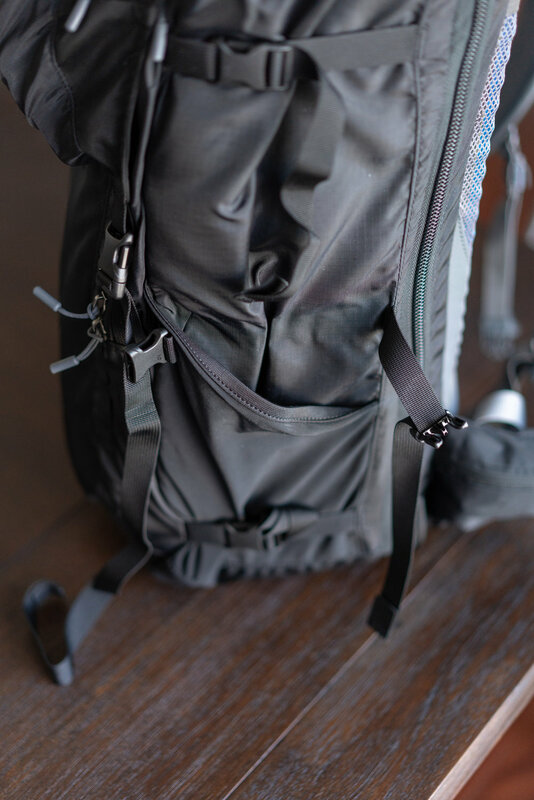 The removal metal frame for rigidity if hiking as well as the waist belt, I am not a fan of any waste belts as a larger person but they can help displace weight from your shoulders so it can help for long hauls. Front view, nice strapped front flap to cover the day-pack area, pocket for laptop, etc. Does have a rain cover a as well. Nice side pockets for water bottles or tripod for easy carry, 1 on each side and 3 straps running length of the bag. Quick pockets on the connectors for the waste belt which are nice for a quick change of lens or snacks while on the go without taking the pack off. Test pack #1 - Sony A7R II (Top Middle), Sony 24-240 (Top Left), Sony 90mm (Top Right), Sony A7R III (Middle open slot), Mavic Air Remote and Charger (Middle Right), Mavic Air (Bottom Right), Sony 100-400 (Bottom Middle), Gopro Hero5 and Karma Grip (Bottom Left), 2 thinktank bags for charging cables, LumeCube lights, etc. Fit on top of the 100-400 and Gopro. As you can see, it's built well and can carry a ton. We will be doing some backpacking on our next trip as well as some car travel. For the longer hikes I may utilize a sling bag as I will only be using 1 body and 1-2 lenses but for majority of the trip this will be the bag on my back. I am not 100% satisfied with how I have it laid out and may change out the Gopro for an Edelkrone little slider as I like it better for timelapse and the gopro is used only sporadically. If you have questions let me know or reach out directly to Atlas as their customer service is incredible. Have a great week and get out their and shoot! Spring time in the DMV! 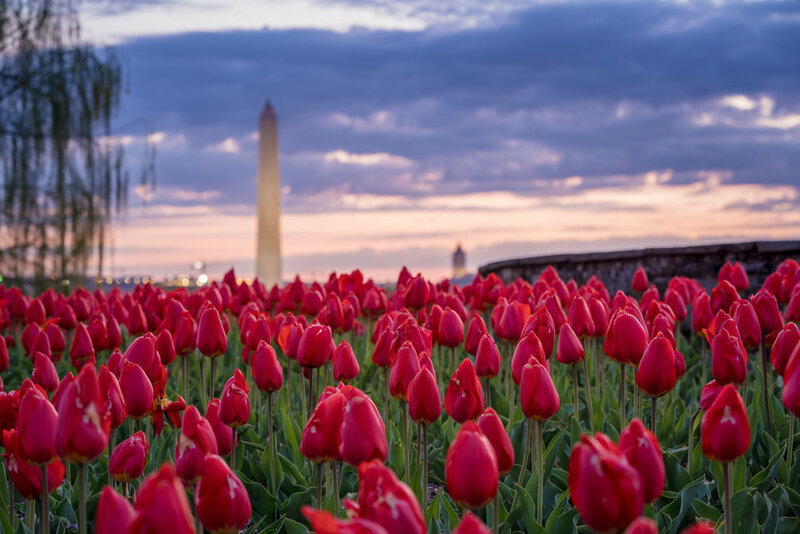 The masses of people have started to hit Washington DC for the highly anticipated Cherry Blossom season that welcome us into spring weather(ish). 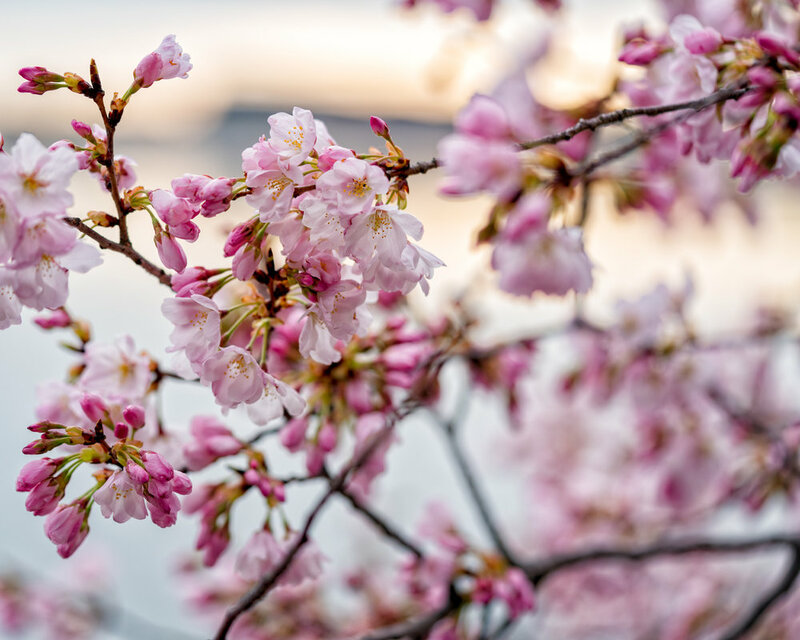 Winter has not fully decided to make up it's mind and leave us just yet so the blossoms are being delayed a bit but after some fantastic weather over the weekend they are really starting to pop! 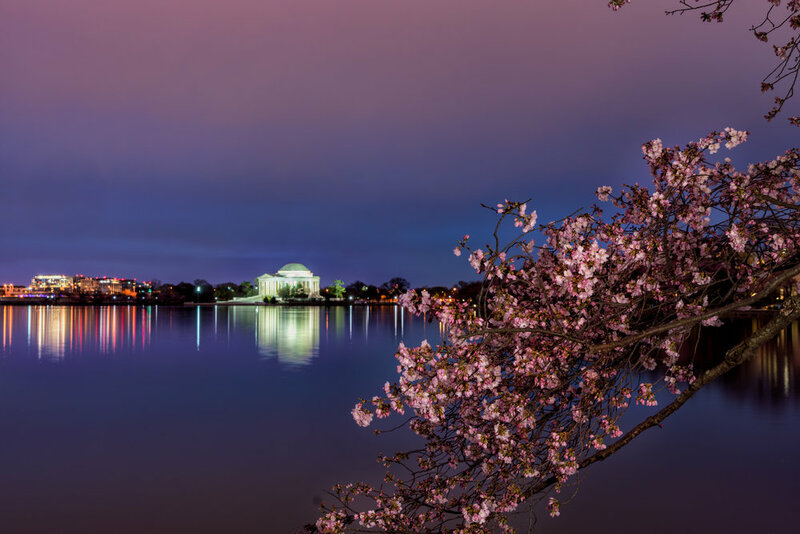 This week and next week should be some great photos coming out of the area for Cherry Blossoms! Aside from the Cherry Blossoms being very exciting as I really do enjoy shooting them, the challenge is figuring out a unique way to capture them that captures how beautiful they are but isn't just another shot just like everyone else and I have not quite figured out that one yet but I will be working on some more detailed shots this year and trying to do some photo stacking to really get the details. The other great thing is meeting up with other photographers in the area that you follow online and finally getting to put a face to a name. Over the weekend I got to catch up with one of my favorite photographers Angel Pan as well as a few new faces, Li Zhujun (https://500px.com/18wwai - IG - @li.zhujun), David (IG - @edgardavisp) and another photog I have followed for a while who is incredible Jarrett Hendrix (https://www.jarretthendrix.com/ - IG - @jarrett.hendrix). I have to do better of capturing peoples faces when we meetup, I usually get side profile or the back of them. Yes, I know what your saying, that's nice Larry please show us the Cherry Blossom captures from Easter Sunday you captured vs all these words, my bad, here ya go. Just as blue hour was starting to get washed out from the clouds I was able to capture this shot which I really love. ---- Sony A7R3 --- 6:47am -- Sony 16-35/35mm, 25 sec exposure, f/16, ISO 100. If your ever out at the Tidal Basin or National Mall and you see a Husky guy with Texas Rangers or Texas Tech clothes on you have probably found me, so say HI! Look forward to sharing some more of this beautiful city with you all as we are still setting in after being here for 2+ years.